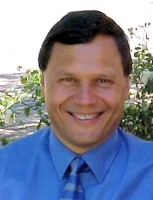 Louis Cloete Jonker was born 9 February 1962 at Riversdal and attended school in Mosselbaai. He studied at Stellenbosch University (BA in Hebrew and Greek 1982, MA in Semitic Languages 1986, BTh 1986, Licentiate in Theology 1987, DTh on Old Testament 1993) and at the universities of Tübingen, Germany, and Leiden, Holland, doing research for his DTh thesis on the Old Testament. His thesis was published in Holland. From 1993 he served as minister at the NG Church Stellenbosch-Welgelegen, and also did further research and lectured at times on the Old Testament. 1996 Exclusivity and Variety. Perspectives on Multidimensional Exegesis. CBET 19. Kampen: Kok Pharos.